Today we have an interesting topic to discuss. It is called the weak squares in chess. And the immediate question that comes to mind is – what are weak squares? A perfect definition would be: a square is weak when it is controlled by your opponent and you have little or no chance of regaining control of that square, due to a lack of pieces that can effectively fight it. In the above position, you can see that most of the light squares (for Black) on Black’s kingside are controlled by the White pieces and pawns. Those squares are called weak squares or holes for your pieces. What to do with your opponent’s weak squares? How to control or occupy them? How to launch an attack against them? How to use your pieces effectively? To answer these questions and to discuss lots more, our new guest coach IM Boroljub Zlatanovic has prepared a very instructive lesson for you. In this lesson, Boroljub shows you an excellent example from one of his own games where he destroyed his opponent just because of the fact that his opponent had a lot of weak squares. 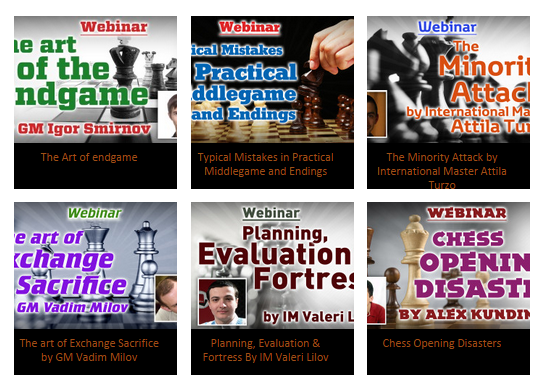 Now, let’s go to the final part of this series, which is about creating ideas in chess. In the concluding part of this series of articles, let us examine two games which are considered ‘twins’ for the finishing idea and how it was conceived! Chess is all about conceiving ideas which could be and not which will be… there are no guarantees, but a master always tries to conjure up what he envisions! A fine move! The idea reveals itself in the follow-up to it. 17.Bf3 Ne5 18.Be2 Nc4 19.Rbd1 Bd6! 20.Ba1 Bb8 21.ab5 ab5 22.g3 Ba7!? White is doing fine, maintaining considerable pressure on b5 and having his pieces neatly placed. Black is also doing fine and his pieces, especially the knight on c4, are doing a great job! There is no second weakness for both sides, except for their primary b-pawn weakness. With this bishop repositioning, which needs to be looked at with a bit of skepticism, Black at least succeeds in creating some doubt in White’s mind. Time… or too much pessimism!? It happens most of the time that when one side is trying to do something… a chance is spilt. With his 23…Qb7?, Black allows the White knight to capture the b-pawn, which fell on a blind spot for both players! 23.Nb5 Qb5 24.Rc3! Obviously! The light squares in front of White’s king are sending an invite! 26.Rc3 h4 27.Bf1 Qf3 28.Nd2? Jumping straight into the fire. 28.Bg2 was probably a lesser evil; but after 28…..Qh5 with hg3 to follow, White will still feel the heat. Else the Black rook lands on c1 with devastating effect. A riddle: is the meaning of… Bd6-b8-a7 conceived by Black or was it provided by White!? In the next game, we move back to 1978. A natural response by White to a natural move by Black. Played with all naivety! This natural move turns out to be the starting point for a great finish. 18.Nb1 was better. Well, it is always easy to offer an opinion in hindsight, but that is precisely the commentator’s job!! If 22.Rc8 Bc8, then 23.Qd1 Qf3! followed by Nf2. The final position deserves a diagram! You can watch the complete games here. Did you enjoy this series of articles by Srikanth? What is your opinion of the writer and the lessons? Did you learn something new or interesting? Feel free to discuss this in the comments below. Also, please share this article with your friends. How to approach a position from a different angle? A few days ago, we published the first part of the article “Interpretation of chess moves” prepared by Srikanth, a friend of the RCA Academy Manager, in which we saw the “reason” behind the blunders made by Bobby Fischer and Vishy Anand. If you missed it, you can read it here. Now you can continue reading the article with the second part. In this part, we shall observe a couple of games on how a similar position is approached from different angles. Therefore, any serious learner of this game needs to study… rather seek… what were the preconditions for getting into trouble! Though this is a difficult topic, one cannot hope to become a master and sustain mastery without doing it! White has just sacrificed a pawn on c5 to gain some activity… a typical theme in such a type of position. First of all, this is a very human response: defending the bishop in a direct way. The basis of putting it on e7 (and not on d6??) is to cover the path for White’s rook to e8 and exploit the undefended bishop on b2, after White’s queen finally captures on c6. If the bishop were not on e7, then White’s rook would land on e8 with the support of his queen on c6… and Black would lose an exchange. But he could have played right away the move he made one move later! Though this move is still good, the move that was played earlier, shutting in the queen, has compromised the position a bit – yet Black hangs on in! 22…Kh8? And this is why we are human beings! A machine would automatically play 22…Ne6 or 22…Be6; and though Black’s position would still look clumsy, it would not be without hope! In the next game, we travel back almost 80 years! A similar setup to what we saw in the previous game and the typical pawn sacrifice on c5. The difference is that the Black rooks have different placements and, instead of the queen, it is the rook that has become tucked in on f8. This is a placement that is good only if Black wishes to expand his f-pawn at some point, which, of course, cannot even occur as a ‘bad plan’ here! A pseudo activity and pseudo threat. But, paradoxically, in such simple positions the point is that the defending side finds it more difficult to conceive a decent move… forget a plan of action. At times, grabbing a corner pawn with the queen is also prudent – but this is only an exception to the rule! In this position, all the Black pieces that now appear to have assumed active positions will be forced to retreat. Economical and very effective defence against Black’s only threat! Salo Flohr and Tigran Petrosian are great at such economy of moves! White methodically pushes back Black’s pseudo active pieces! 23…Rc5 24.Qc5 Rc8?! It is very difficult to suggest a decent move for Black, but surely this is not the one. The very ‘active’ play by Black, putting his bishop in the mouth of the g-pawn, prevents him from dissolving the position further and securing his pawn! If the bishop were not on h3, Black would have had a successful defence with Qd6! The pawn push by Black on this side is irrelevant. A very good example for comparing the ideas of two different players. Though all games fall under this category, some are more pronounced in the way one side succeeds through simple moves and the other fails miserably! Both these games are also a good example of the utilization of space – a nebulous concept like the very science of space itself! You can check all complete games here. Some time ago, we published an article about stress during a chess game and lots more. It was prepared by Srikanth, a professional chess player and a friend of the RCA Academy Manager. If you missed it, you can read it here. Today, I’d like to publish another article for you prepared by Srikanth. It is called “Interpretation of chess moves”. So, let’s go! Chess is the most intelligent game ever invented. It has a lot of things that are similar to life. It trains you to use all your resources to the maximum extent. 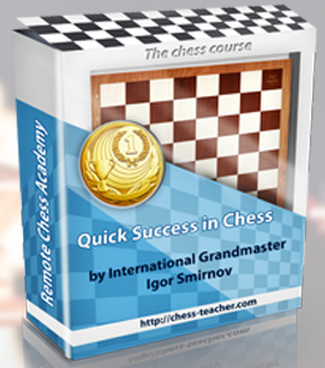 Learning chess rules will help you build a strong foundation in chess. Many students do not have clear picture on these rules at their beginning stages. 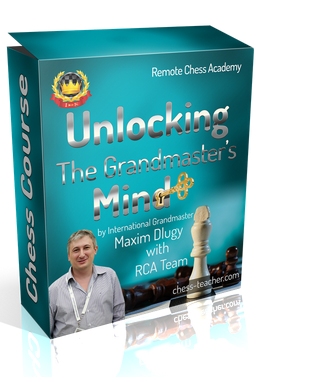 That is why RCA decided to help beginners with basic chess rules. Chess teaches you administration and to extract work from your subordinates. It is a battle between two monarchs. The king manages the troops. He plans the operation and executes it. The rules of chess have evolved much over the centuries, from the early chess-like games played in India in the 6th century. For much of that time, the rules varied from area to area. The modern rules first took form in Italy during the 13th century, giving more mobility to pieces that previously had more restricted movement (such as the queen and bishop). Such modified rules entered into an accepted form during the late-15th or early 16th century. The basic moves of the king, rook, and knight remain unchanged. Pawns originally did not have the option of moving two squares on their first move and when promoted by reaching the eighth rank, could become a queen only. Chess is played on a square board divided into 64 squares (eight-by-eight) of alternating color. No matter what the actual colors of the board, the lighter-colored squares are called “light” or “white” and the darker-colored squares are called “dark” or “black”. Sixteen White and sixteen Black pieces are placed on the board at the beginning of the game.The board is placed so that a white square is in each player’s bottom-right corner. Horizontal rows are called ranks and vertical rows are called files. According to FIDE equipment standards, the length of side of a square should be twice the length of the diameter of the base of a pawn. The knights are placed immediately inside the rooks. The bishops are placed immediately inside the knights. You cannot place more than one piece on a square at any time.